The Samsung Galaxy Note 10 needs to pack a punch to get the phone series back in the limelight. While we haven't heard many Galaxy Note 10 leaks or rumors just yet, we've assembled a list of what we want from Samsung and its next flagship phablet to help propel the handset to the top of the pile. The Samsung Galaxy Note 9 is packed full of features and tech, along with a few new features. But in a lot of ways, the phone still feels like a small upgrade to the Samsung Galaxy Note 8 from the year before. Update: The Samsung Galaxy Note 10 could land alongside a larger Samsung Galaxy Note 10 Pro. So while we're looking forward to the next version of Samsung's notable phone, we’re hoping for more from the Samsung Galaxy Note 10. We want sizeable, impactful changes and upgrades that help justify its inevitably enormous price tag. We’ve listed some of our specific hopes below, but before that you’ll find early rumors and educated guesses at the release date, specs and features of the Galaxy Note 10. It’s likely that the Samsung Galaxy Note 10 launch date will be some point in August 2019, as in recent years Samsung has announced new Galaxy Note handsets in August. However, the exact point in the month does vary. The Galaxy Note 9 for example was announced on August 9 2018, but the Samsung Galaxy Note 8 was announced on August 23 of 2017. And even once the Galaxy Note 10 is announced it will likely be at least a couple of weeks before you can buy it, so don’t be surprised if it doesn’t hit stores until late August or September 2019. As for the Samsung Galaxy Note 10 price, the Note 9 starts at $1,000 (£899, AU$1,499) and it gets even more expensive if you want more storage and more RAM. Given that smartphone prices generally seem to be rising we’d expect the Samsung Galaxy Note 10 will cost at least this much. So far one of the few real things we've heard about the Samsung Galaxy Note 10 is that it will apparently have a 6.66-inch screen. And we've heard that not once, but twice already! That's up from 6.4 inches on the Samsung Galaxy Note 9 and while we'd take this with a pinch of salt it's believable, given that phone screens keep getting bigger, and given that the Samsung Galaxy S10 Plus is 6.4 inches and we'd expect the next Note to be bigger than anything in the S range. However it's possible there will be two different Samsung Galaxy Note 10 models, as we've heard rumors that as well as a 6.75-inch phone Samsung will release a smaller Note 10 only in Europe. The larger of the two (or more) models might be called the Samsung Galaxy Note 10 Pro, as that's a name that we've heard rumored now. The Samsung Galaxy Note 10 could also have a quad-lens camera according to one report. The specs of the lenses aren't known, but it's possible that they would be the same as those on the Galaxy S10 5G, a phone with a 12MP telephoto lens, a 12MP variable aperture one, a 16MP ultra-wide lens, and a 3D depth-sensor. The same report says that the Note 10 has the model number SM-N975F. However Note handsets usually have a '0' as the last number, so there's speculation that this could denote a 5G variant. Another report had an even more radical prediction: the Note 10 won't have physical buttons. Instead, the phone will use touch sensors, like the capacitive pads we've seen on the Nubia Red Magic Mars and elsewhere, for users to fiddle with volume and power. Presumably, it would also replace the notorious Bixby button with a touchpad. In more vague news, the Galaxy Note 10 is apparently codenamed 'Da Vinci'. Given that Leonardo da Vinci was a famous painter that could hint at upgrades to the S Pen, though exactly what those upgrades would be is unclear. Leonardo da Vinci was also very talented in lots of other ways though, so this could equally be a suggestion that the Note 10 will be a very versatile phone. Beyond that we can take some educated guesses as to what the Note 10 might offer. For one thing, based on past form it will probably use the same chipset as the Samsung Galaxy S10. That means either a Snapdragon 855 or an Exynos 9820, depending on where you are in the world. They're both top-end though. The Galaxy S10 also has an in-screen fingerprint scanner and a camera cut-out in the screen, rather than a notch or big bezels, so those are likely features of the Note 10. The Note 10 is also almost certainly going to have a curved Super AMOLED screen. You can probably expect water resistance too, given that all recent Samsung flagships have that. And of course, the S Pen will make a return, though quite possibly with some new features and refinements. While there’s no Samsung Galaxy Note 10 news just yet, we have a good idea of what we want from it. You’ll find our seven main suggestions below. As much as Samsung might want us to use Bixby in favor of Google Assistant the reality is that for the most part it’s just not as good, and Google has so much of a head start that we doubt it ever will be. That wouldn’t be an issue except that Samsung insists on putting a physical Bixby button on its Note phones, so for the Samsung Galaxy Note 10 we either want this to be removed or to be customizable, so you can set it to launch something other than Bixby. The good news is this should happen, because it's a feature that since writing this wish Samsung has started bringing to its phones – maybe the South Korean company really is listening to us. Many high-end handsets can now record HDR video, but the Galaxy Note 9 can’t. It’s a shame, because it’s a noticeably weak point in a camera that’s otherwise great. So we really want to see HDR recording offered by the Samsung Galaxy Note 10. And not just any HDR, but 4K HDR (which is also offered by some rivals), so it can shoot videos that look as good as its photos surely will. The Note 9 has a fingerprint scanner on the back, which allows for slim bezels on the front (though still more of a bottom bezel than we’d have hoped to see) but arguably makes it slightly trickier to reach than a front-facing scanner. We also noted in our review that it’s too small and too close to the camera, making it easy to accidentally hit that instead and smudge the lens. So for the Samsung Galaxy Note 10 we want the scanner on the front, but rather than being under the screen we want it built into the screen, like the Galaxy S10 and some other phones are now doing. 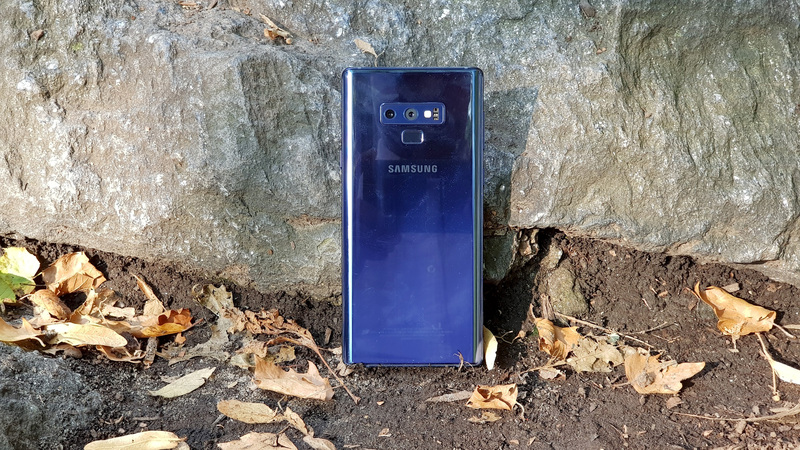 The Note 9 is a nice looking phone, but it’s also similar in design to the last few and the bezels are starting to feel a bit much compared to the likes of the iPhone X and Huawei P20 Pro. So we’d like to see a design overhaul for the Samsung Galaxy Note 10. It can keep the water resistance and the curvy screen, but hopefully the rest of the design will change to something fresher and more modern. There’s no getting around the fact that the Note 9 is a very, very expensive phone and we’re expecting the Samsung Galaxy Note 10 will be at least as pricey. But we’re hoping it won’t be. If Samsung can shave a couple of hundred dollars/pounds off the price then it could have far wider appeal. 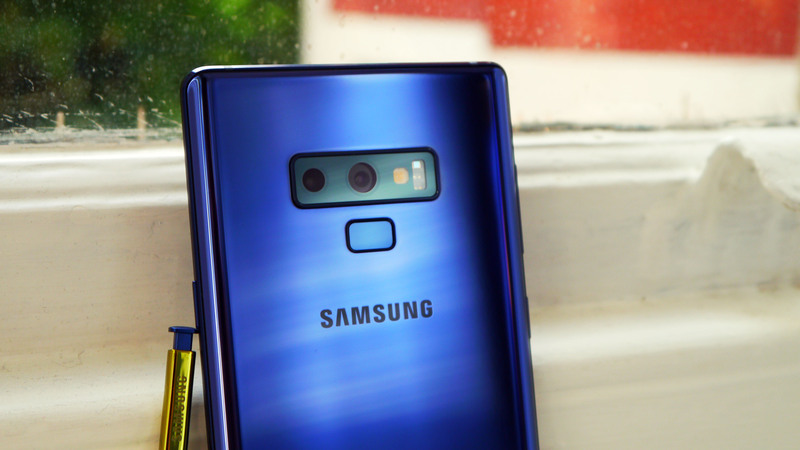 The Galaxy Note 9 has both an iris scanner and facial recognition, but – as we note in our review – even combined these sensors are no match for Apple’s Face ID, so we’d like to see real improvements here for the Samsung Galaxy Note 10. That will probably mean packing in more and better cameras and sensors on the front so it can build up an accurate 3D picture of our face. That could be expensive and make removing the bezel trickier, but if it leads to a fast, secure scanner that works in almost all lighting then it might be worth it. For the Galaxy Note 9 Samsung upped the range’s battery size to 4,000mAh, delivering over a day of life in the process. That’s good work, but we want to see further improvements for the Samsung Galaxy Note 10, especially given that batteries wear out over time, so if you plan to hold on to the phone for two years or more you might notice significantly reduced life by the end. On that note, if Samsung can make the battery degrade slower that would be appreciated too.